End of the year "best of" lists are allegedly becoming passe - NPR seems to be eschewing them altogether this year (at least as far as books are concerned) - but I'm a list maker, damn it, and I gotta be me. At least I'm compiling everything into one big list as opposed to making one for each category; this is both for our mutual convenience and because even though I'm free of the yoke of grad school, I still don't have as much free time to spend soaking in the various pop culture media as I'd like. I'd have a hard time populating a Top 10 Movies of 2013, for instance, because I don't think I got out to see 10 new release movies in the past year (and although I bet they'll be great, it will be some time before I get out to see stuff releasing now like American Hustle, Her, or Nebraska). 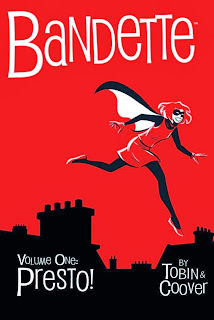 Bandette - I get the feeling I'm missing a lot of the more subtle jokes based on my limited knowledge of bandes dessinées, but Paul Tobin & Colleen Coover's (too infrequent!) 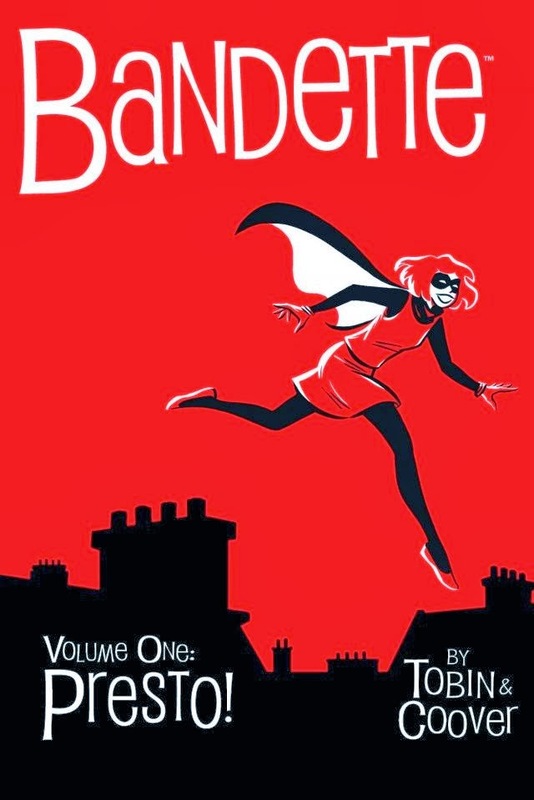 series about a female thief working on the side of the angels (when it suits her) is fun, exciting, and often laugh out loud funny. The only comic series so far I've followed faithfully in digital form, and then ponied up for again to get the nice-looking hardcover collection from Dark Horse. As they say on the netwebs, shut up and take my money. 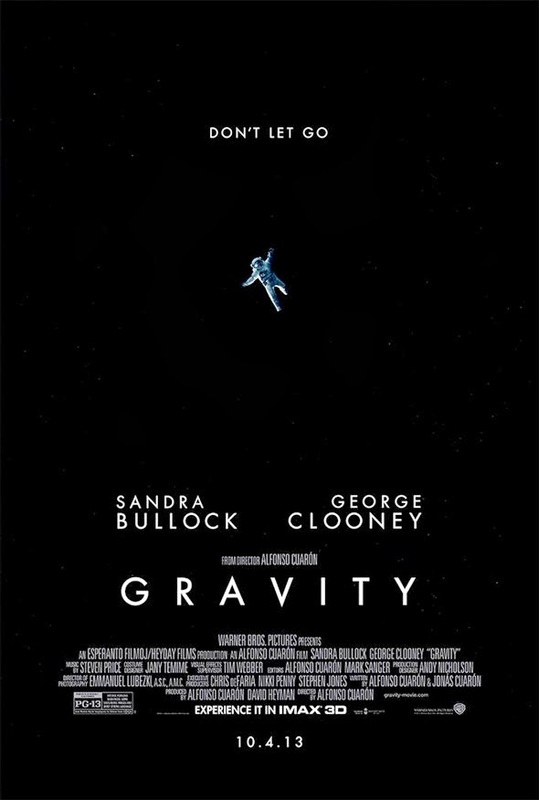 Gravity - I generally hate 3D, but for once it seemed like a crucial part of the experience and not just a ploy to jack my ticket up another $5. The plot was fine and all - certainly entertaining and intense - but I wonder if it plays nearly as well in just two dimensions (I mean, I felt I was missing out as is by not seeing it in IMAX)? Regardless, Gravity was proof that the scariest movies have nothing to do with monsters or body horror and everything to do with tension. 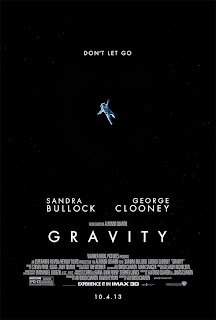 I hope Sandra Bullock gets nominated for the various awards. 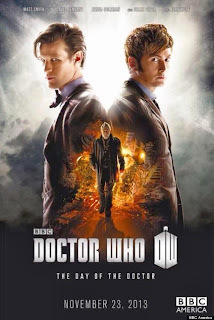 Doctor Who: The Night of the Doctor / The Day of the Doctor - First of all, kudoes to Steven Moffat and the BBC for keeping the big surprise of The Night of the Doctor under wraps until it appeared online. I managed to catch it before the internet conspired to ruin it for everyone, and I legitimately gasped out loud. 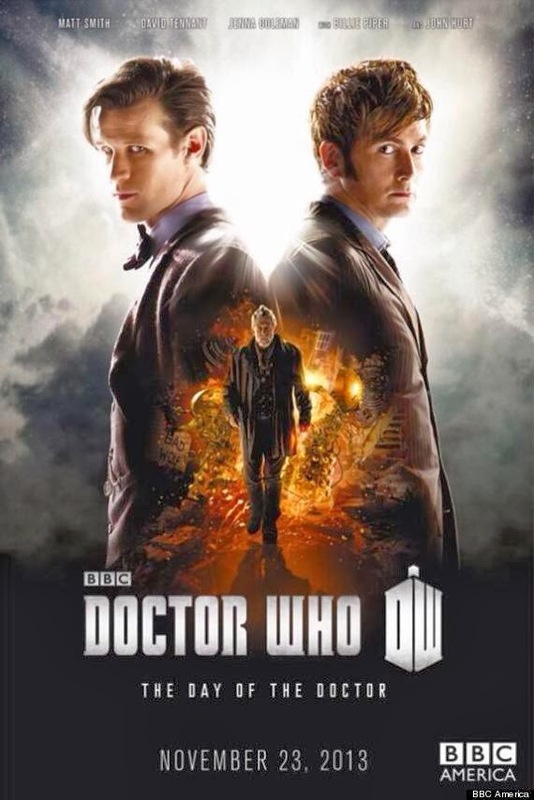 As for The Day of the Doctor itself, it might not have delivered everything I wanted to see in the 50th anniversary story (which, let's be honest, was impossible due to time constraints, budget constraints, and that whole life/death thing), but it had that rare quality of being a good celebration story while still being a good story story (as much as I like The Five Doctors, for instance, it doesn't hold together well as a narrative). And I was skeptical, but John Hurt was totally the Doctor. I still refuse to renumber (Hurt is the War Doctor, not the 9th Doctor), but he carried out the role fantastically. 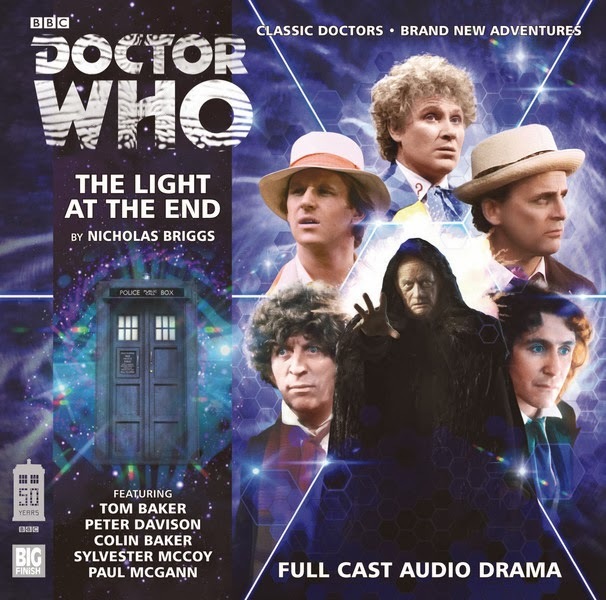 Doctor Who: The Light at the End - Besides, if my 50th anniversary dreams of a classic Doctors meet and greet couldn't happen on screen, Big Finish came through by bringing them together in audio form, where you don't have to worry about budget, storyline explanations for visibly older actors, or even the life/death thing, as Doctors 1, 2, and 3 are subbed by William Russell, Frazer Hines, and Tim Treloar respectively(Hines's Patrick Troughton voice is especially good). The plot's a bit convoluted, but it's such fun to hear the different Doctors paired off (Paul McGann and Tom Baker make a great duo) that I didn't really mind. 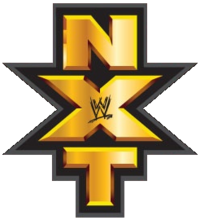 WWE NXT - Simply put, my favorite wrestling show on TV (even if it's only on Hulu), and far and away the best show the WWE is producing right now, which is unexpected considering these are supposed to be the people on their way up, not the seasoned vets. But the wrestling is usually fast-paced and energetic, the commentary is entertaining and legitimately informative (particularly when William Regal is on the mic, as his years of experience allow him to give the audience some amazing insight into what's happening both on-screen and in the wrestler's heads), the gimmicks are goofy but enjoyable (particularly guys like selfie-obsessed "model" Tyler Breeze, would-be thespian Aiden English, and hugs, robots, and headbands enthusiast Bayley), and the crowd is just super into all of it. Also, the show's only an hour, so endless jibber-jabber promos are at a minimum to make room for the wrestling. Hopefully some of these people (particularly my favorite, Sami Zayn) will make it big when they transition to the main roster, but I'm quite happy to see them excel on NXT for as long as possible. 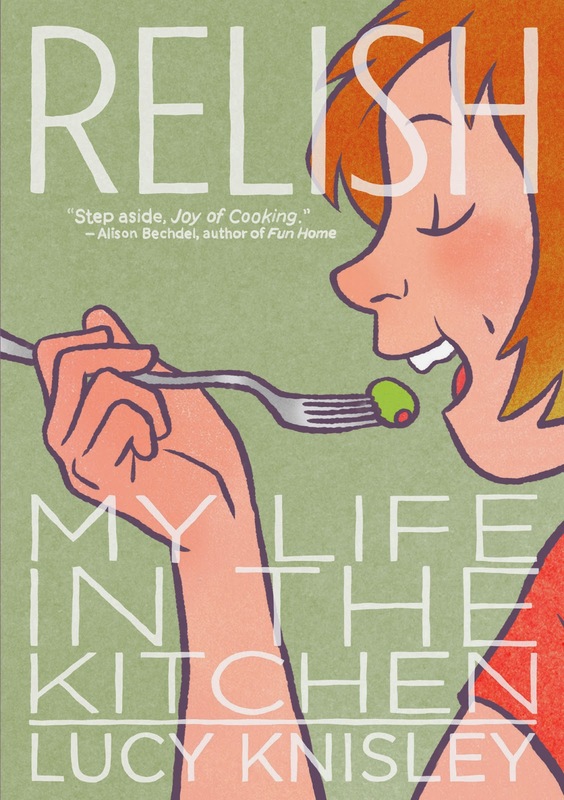 Relish: My Life in the Kitchen - It's hard enough to write well about food and eating in a way that takes a common, even communal experience and makes it interesting (which is why I think there are more truly great chefs than truly great food writers). 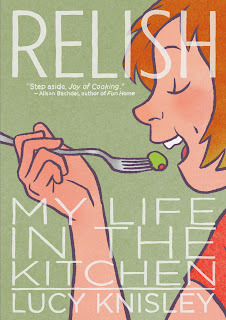 I'd imagine it's harder still to write AND draw about it, but Lucy Knisley does an amazing job of it, combining tales of growing up living among cooks, gourmets, and foodies of all stripes (and being one herself) with the context of the importance food in general and certain meals in particular have had in her life, and then mixes in some amazing-sounding recipes to boot. If there's any justice in this world, she'll not only win an Eisner Award, but a James Beard Award, too. 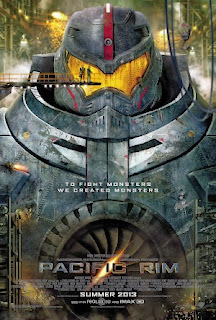 Pacific Rim - A lot of people complained about the dialogue or the shallowness of the relationships between the human characters. Um, folks? This is a kaiju movie. Be thankful that there were human relationships at all (and that they didn't take too much screen time away from the monster fights, which is a mix that not even the almighty Toho Studios itself could always get right back in the day). I think what these people lose sight of is that this is a movie in which a giant robot walks up to an equally giant monster and then clubs it with a battleship. If loving that is wrong, then may I never be right. Hawkeye - Everybody and their brother loves this book. There's a reason for that, you guys - Matt Fraction is telling stories that are both fun and tension-filled, that are light but have serious stakes, and focus on small moments that impact characters' lives and Marvel universe as a whole. 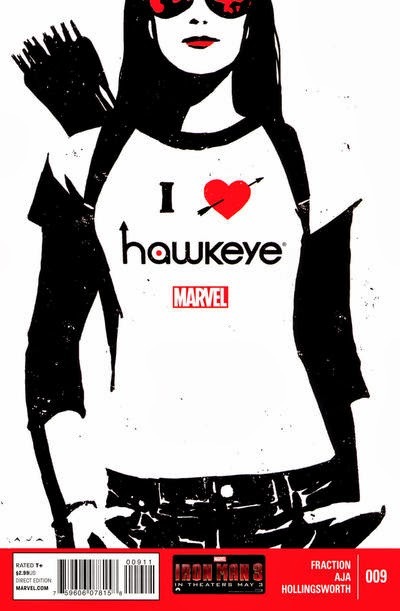 David Aja's artwork is pretty much perfect, too. So expressive but with an economy of line that you can't help but admire... not a bit of anything out of place or extraneous. Delays have hindered the current storyline a bit, but it's still the best book Marvel is putting out right now. And yeah, the Pizza Dog issue was interesting, but it was Kate Bishop's first solo case as a Hero for Hire in the last issue that was the best of the year for me. Captain Marvel Fandom, a.k.a. the Carol Corps - Kelly Sue DeConnick's Captain Marvel series has been a lot of fun and I'm happy to see it's getting relaunched in the spring. If you're not reading it, you should, it's a terrific book. My favorite thing about it, though, is the positive fan community that has sprung up around it. 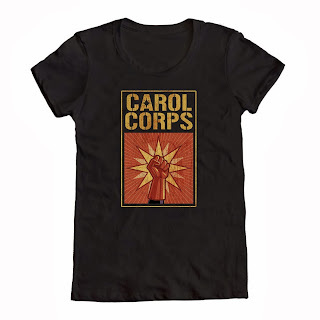 Search "Carol Corps" on Twitter or Tumblr and you will just see post after post after post of people sharing their enthusiasm about the book (especially comics newbies), fan art, cosplay photos, crafty items (a lot of people are knitting Carol's "lucky hat," it seems), and all manner of other things. Every fandom should be this upbeat and supportive! 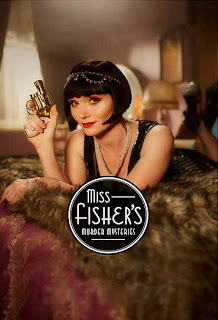 Miss Fisher's Murder Mysteries - I'm only an episode or two in, and this premiered in 2012, but it's relatively new to Netflix and I just discovered it and it's my list anyway so whatever. Anyway, brilliant, ballsy, gorgeous female amateur sleuth in jazz age Melbourne, Australia, and hunts down murderers with the help of her eclectic friends and household staff, all while vexing the local police inspector / inevitable would-be love interest... formulaic, sure, but it's done with style and the performances are great, so what's not to love? 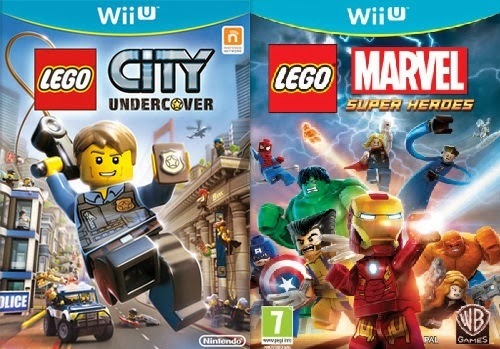 Lego City Undercover / Lego Marvel Super Heroes: The Video Game - The Lego video games of the past several years have been almost universally good (except for when they tweak the formula too much, like the second Indiana Jones game or the Starcraft-like elements added to the Star Wars: The Clone Wars installment), so it's no surprise that these would be good. I thought they'd have a hard time topping last year's Lego Batman 2: DC Super Heroes in terms of size, scope, and variety of options, but damned if they didn't do it in both of these games. 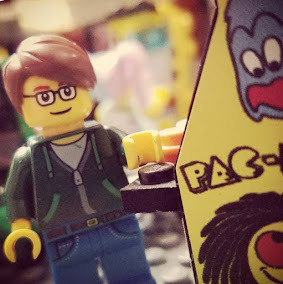 The former (a Wii U exclusive) is the first non-licensed game from Lego & TT Games thus far, and gives me hope for further original properties, especially in the way it combines the tried-and-true Lego game experience with the open sandbox gameplay world of games like the GTA series (indeed, many nicknamed this "Grand Theft Lego"). The latter takes the comics- and movies-inspired gameplay of Batman 2 and kicks it up several notches with an even greater array of characters, vehicles, and recognizable environments (bonus points for creating a very recognizable Manhattan that also seamlessly blends in some of the most famous Marvel landmarks). Flying's still a pain in both games, though, which makes hitting that 100% Complete goal frustrating. Still, they're both great fun. And yes, I own a Wii U. I like it. Shut up.